I trust you are well and getting settled into the new year. Our website has been converted to an online shop. As a dealer or agent please contact us so that we can issue you your discounts from the list price. During the last few months we have secured a few more product lines and are pretty excited about them all. When you have a gap – go and browse around. As a refresher as to the reason why SineTamer® is not just another product – or not just another surge protector – have a look at this video. It’s a 14 min presentation on “Why should I choose SineTamer®“. Everyday we get calls from people saying that they have lost boards, are experiencing various failures, etc etc. Well in a way it’s not surprising as you see in the video – there is just so much noise (transients) happening all the time that our modern equipment’s sensitivity picks up. A news flash – we are in the throes of bringing to you a really cool little UPS – keep an eye on this space and our website for details. Last year was a tough year across many sectors in South Africa. What have you planned for this year? We have broadened our product range and pulled in a few more resources to enable us to serve you better. You see – power issues are sometimes rather tricky to solve. There are many variables to look at. Right here – is the difference between us and others in the market/industry. We will not just take any layman’s word as a recommendation to a solution. We really are passionate to provide the CORRECT solution to a problem. Many other companies will just sell the customer a box. They will listen to the customer and take what s/he says is the solution and provide that. Sometimes the customers suspicions and proposed solutions are in fact 100% correct but by the time we are ready to put our proposal on the table – we have verifiable facts. We will investigate the issue at hand. We will look at it from all angles and then, once we have the information, only provide you with a solution. *Yes it might be what you suspected but many times we have found a totally different solution to a problem. Fortunately we have many years of experience and as such our fact finding might literally only take a few minutes – this saves you time and money. South africans have a great saying “Goedkoop is duurkoop”. That does not translate so nicely into english – but basically it means that buying something cheap will probably cost you more in the end. 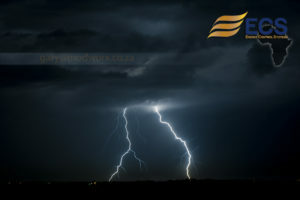 We are here to serve you and to tackle any and all power/technical problems that you experience. 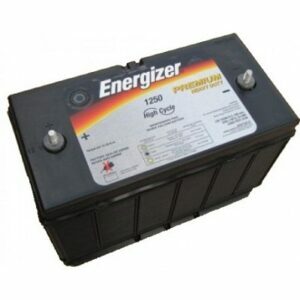 Some items need replacing periodically – Batteries are one of those. We literally have a range all the way from a little AAA penlite battery to the 105AH long run, deep cycle UPS type batteries. Keep that in mind when you need one. Simply pop onto our store and order it. VERY IMPORTANTLY if you are an agent of ours – please contact us for your discount coupons so that when you place the order online you will get your discount applied to the price. .
Gary and the team from Adriatic Power Group.